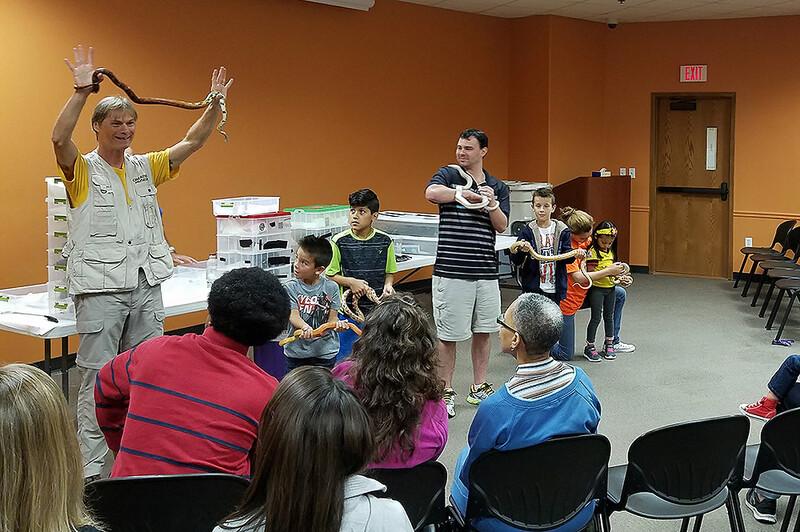 This year marked the sixth annual Día Latino for the Hispanic community at the Creation Museum. 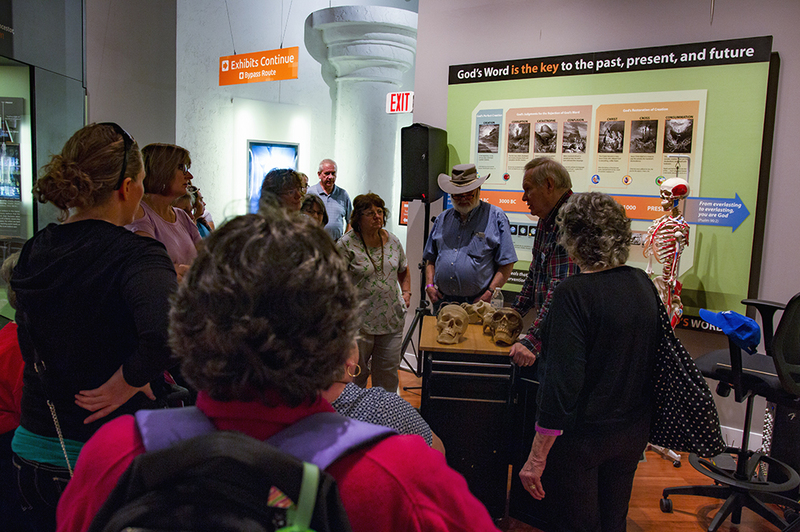 This unique event provides a special opportunity for Spanish-speaking guests to experience the museum in their language. 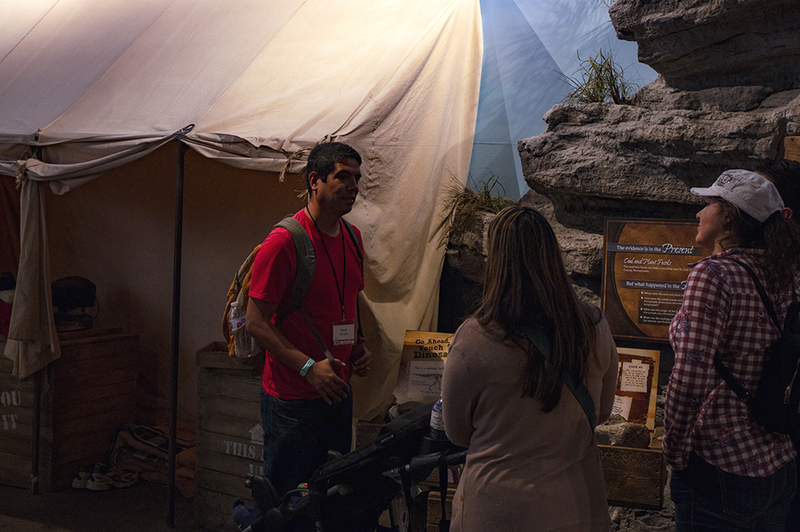 After our guests enjoyed the event at our sister attraction, the Ark Encounter, on September 29, over 200 guests headed to the museum on September 30. 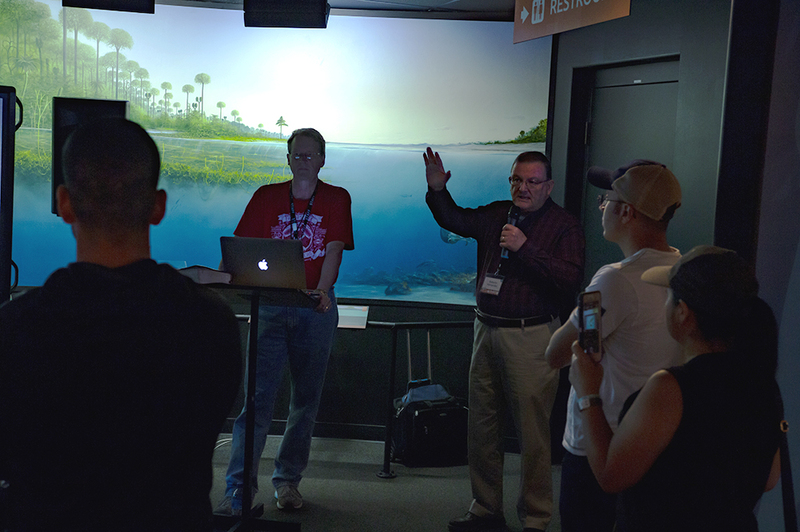 Here’s what our guests experienced when they joined us for this year’s Día Latino at the Creation Museum. 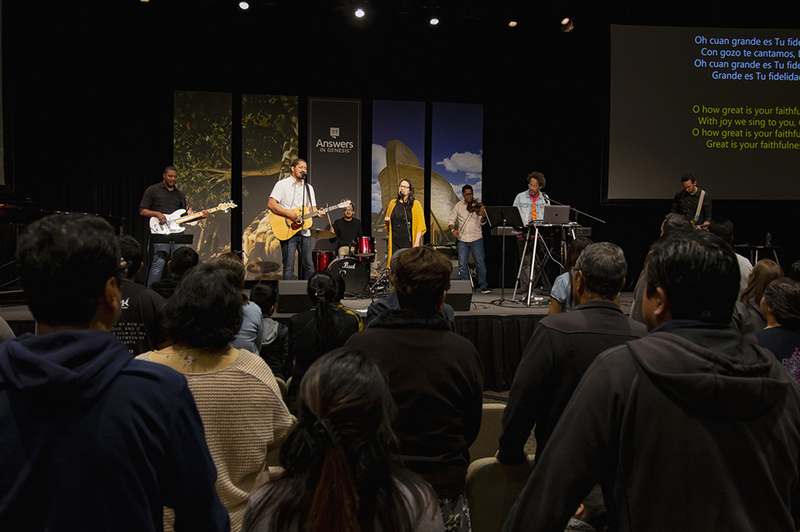 Día Latino at the Creation Museum started out with a worship service featuring Jonathan and Sarah Jerez! 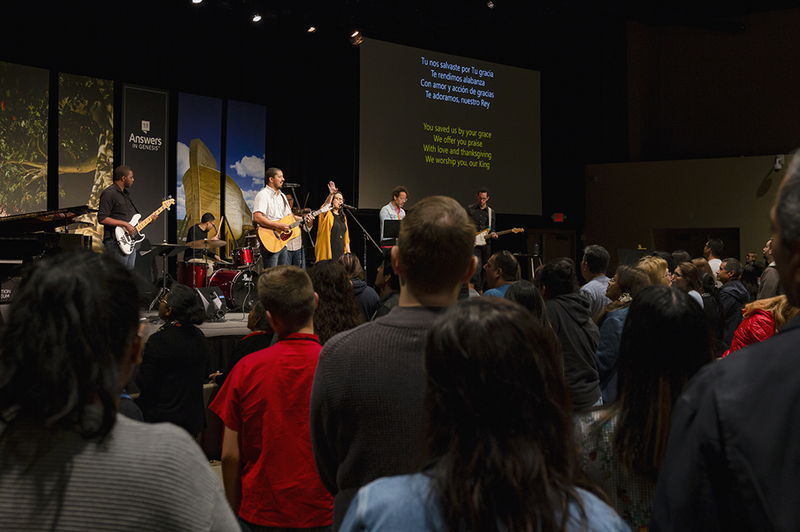 They are known for their Spanish translations of many mainstream English worship songs and their popular original songs in Spanish, such as “Hay Libertad” (“There is Freedom”) and “Glorioso Intercambio” (“Glorious Exchange”). Our Spanish-speaking guests then had the opportunity to explore all that the museum has to offer. 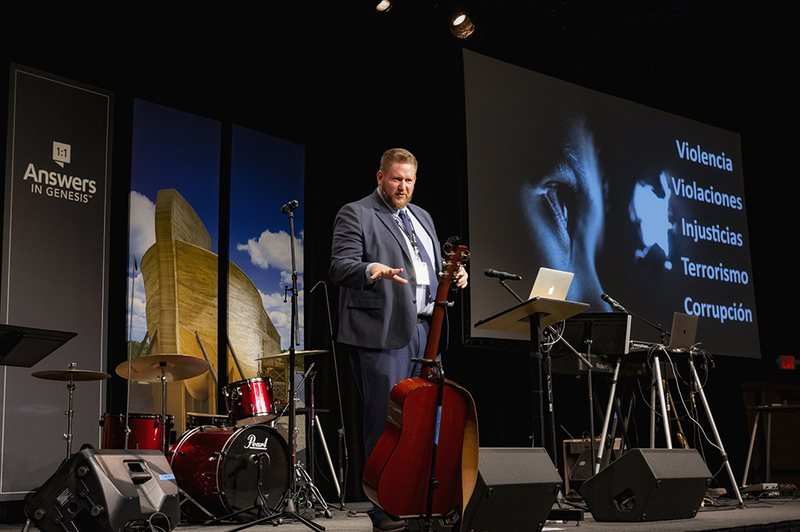 Several AiG speakers and museum staff shared their knowledge of creation and apologetics through workshops and presentations. They were each paired with a volunteer interpreter so our Spanish guests could enjoy the full experience in their own heart language. We also held several sessions of our Snakes Alive workshop, which our guests really enjoyed! They learned about creation, apologetics, and the gospel with Rick Teepen, who uses his collection of reptiles as a unique way to teach about God’s creation. Our Día Latino staff ended the day with a thank you dinner for our 40 volunteers after spending two days sharing the gospel and enjoying what both the Creation Museum and the Ark Encounter have to offer all of our guests. 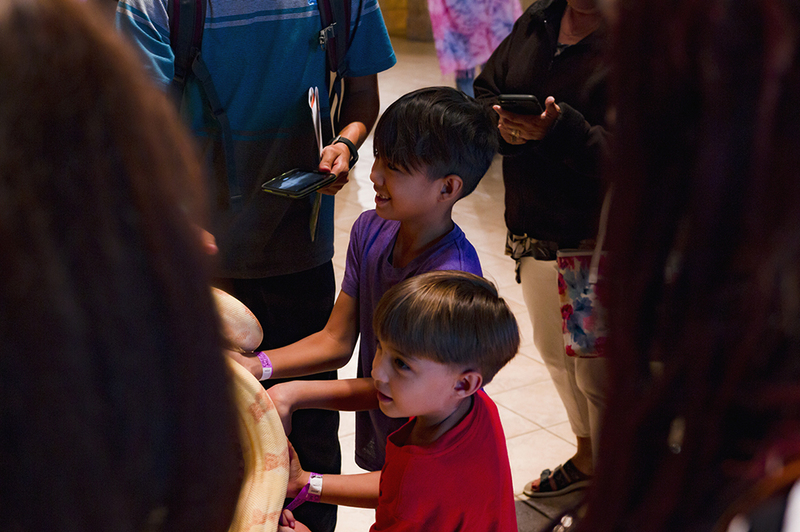 Share your favorite photos from our events with us on Facebook, Instagram, and Twitter using #creationmuseum, and you might see your picture featured in a future blog.